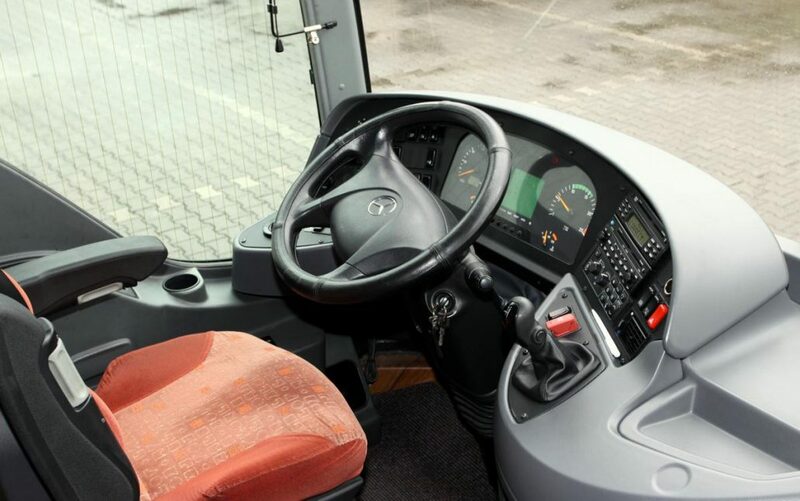 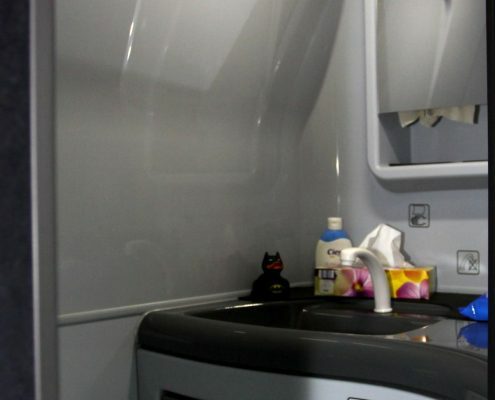 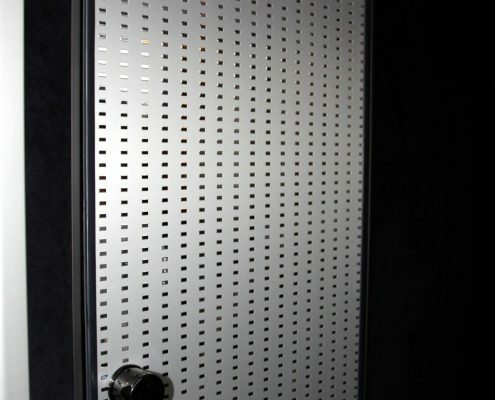 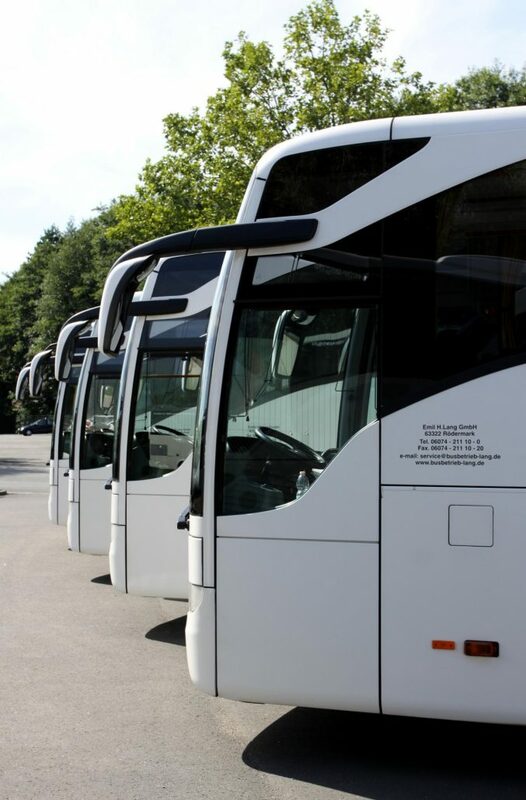 Safety is a crucial component of our success – this applies to the qualification of our drivers and to our vehicles being maintained on a regular basis in order to keep its technology up to date. 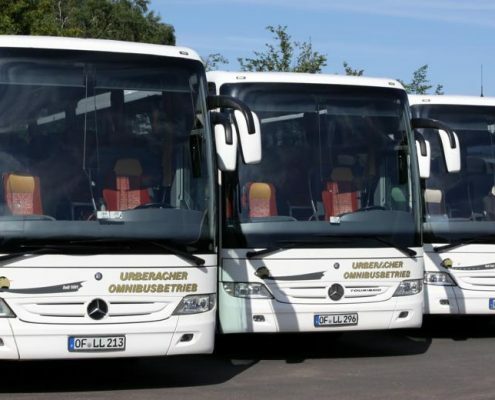 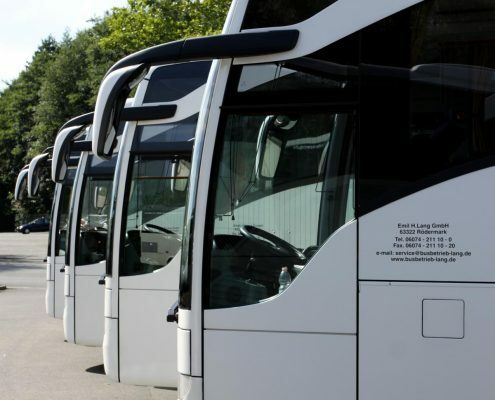 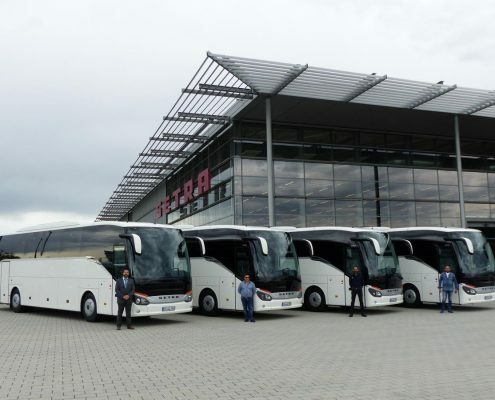 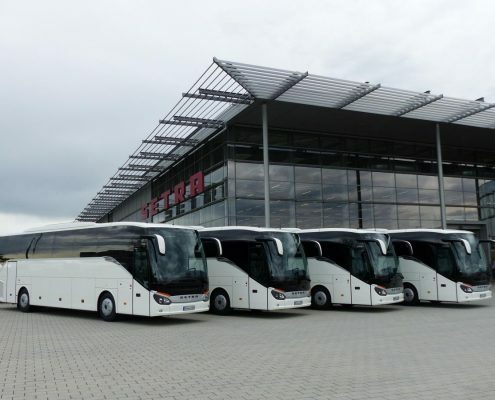 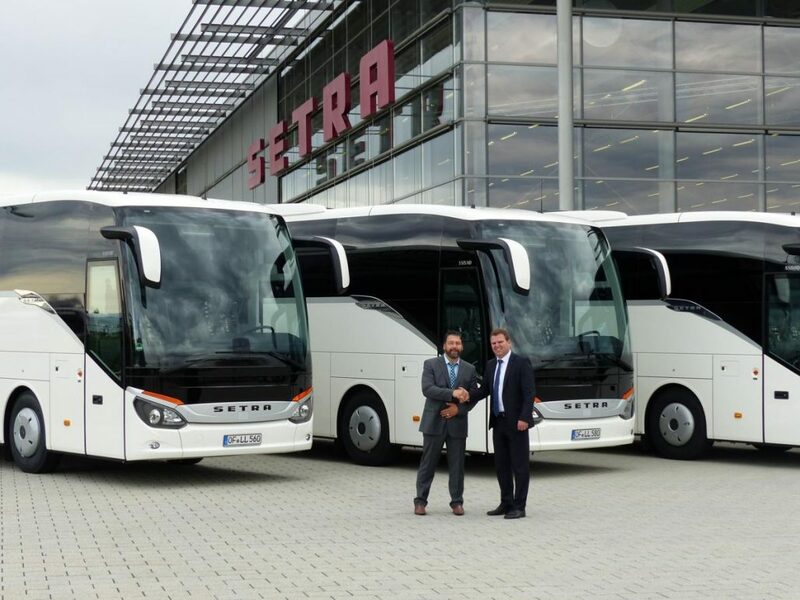 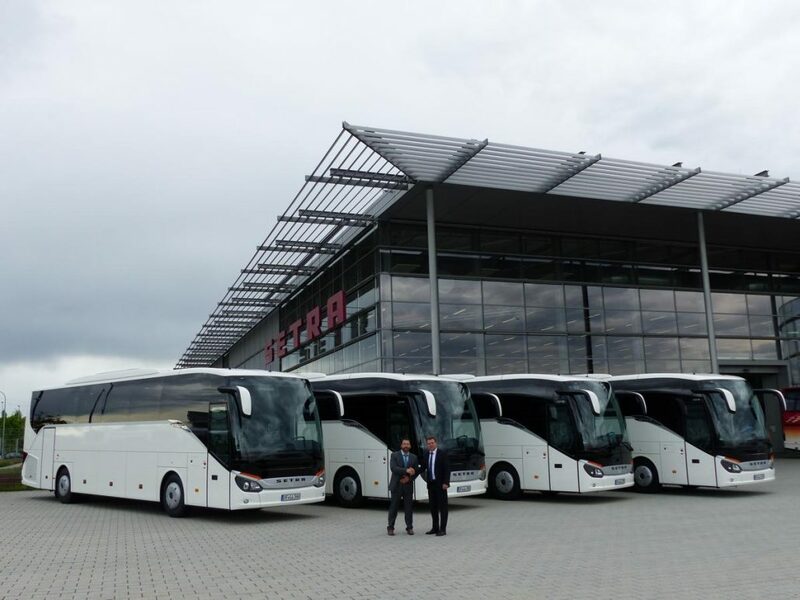 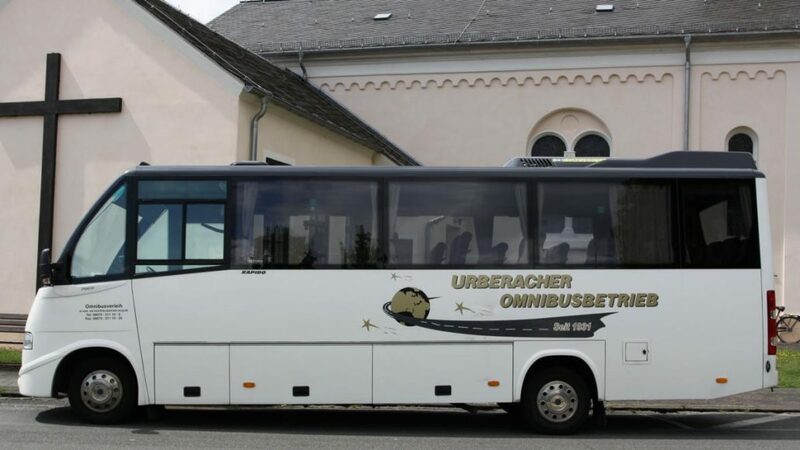 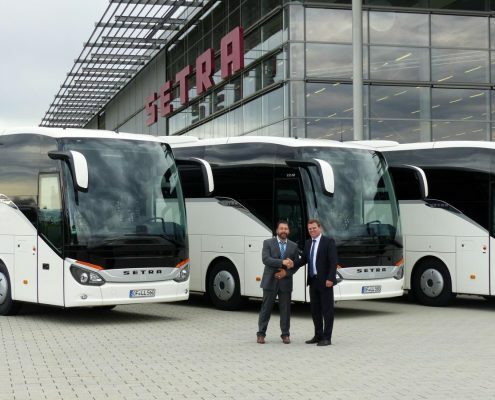 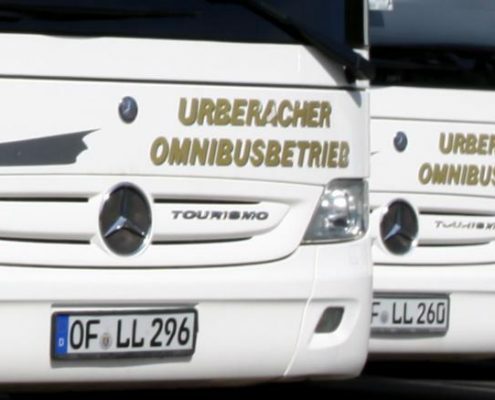 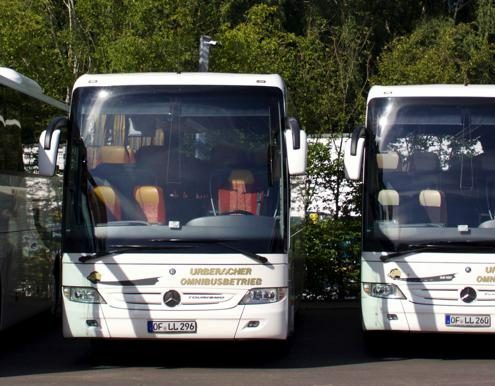 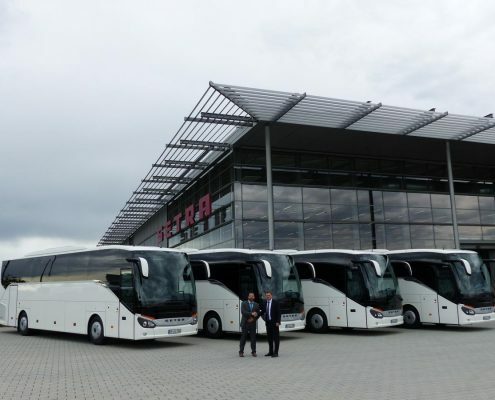 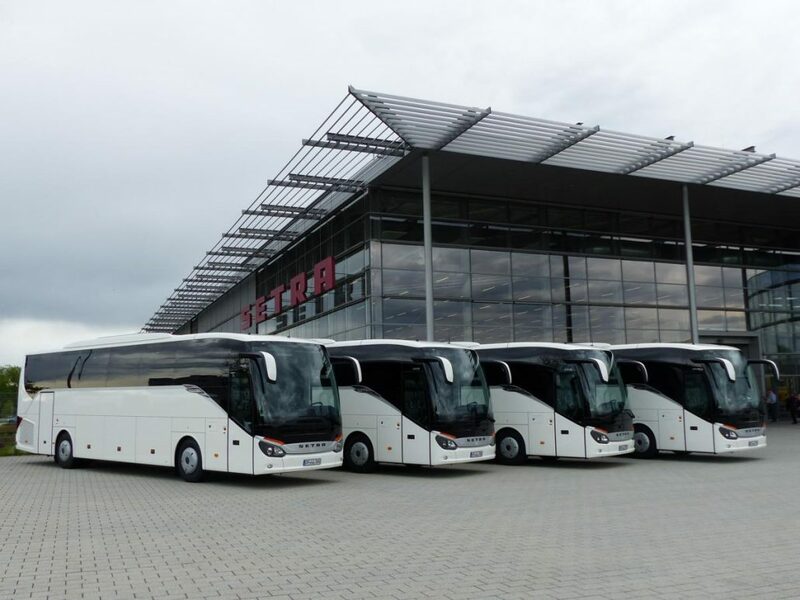 On the 12 of May 2017 four Daimler buses of the ComfortClass S 515 HD were handed over to Mister Emil H. Lang by Arno Becker, Customer Care of the Daimler buses. 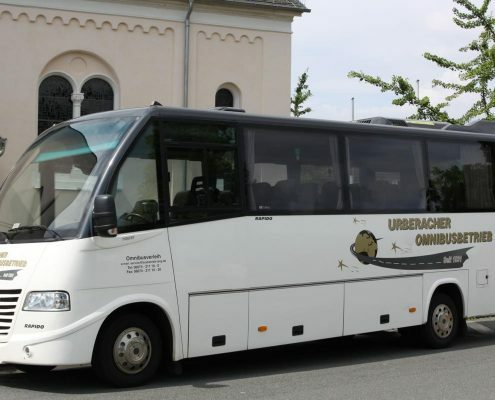 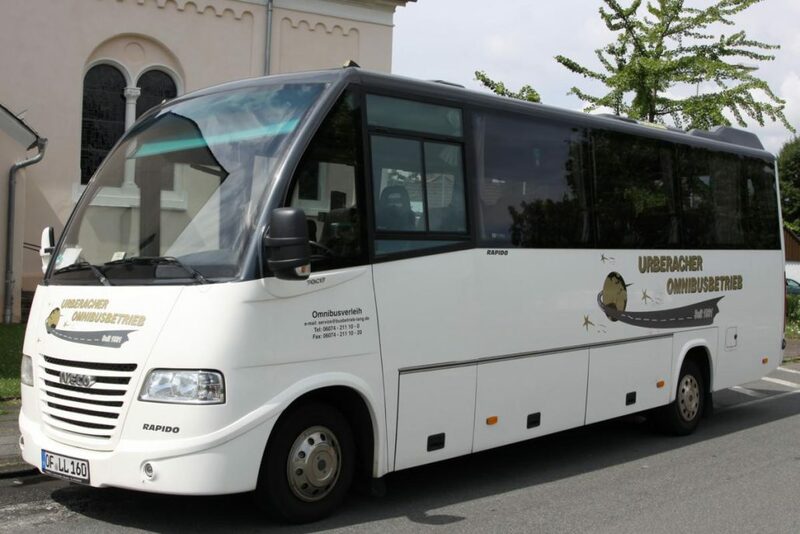 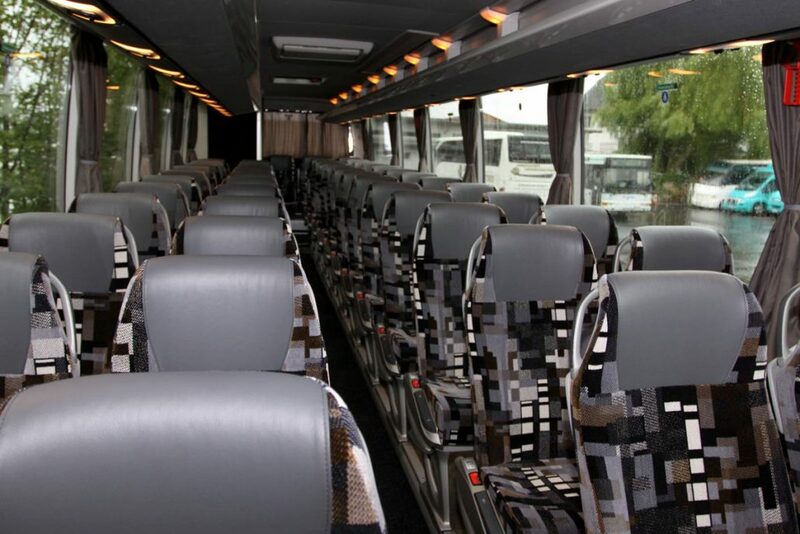 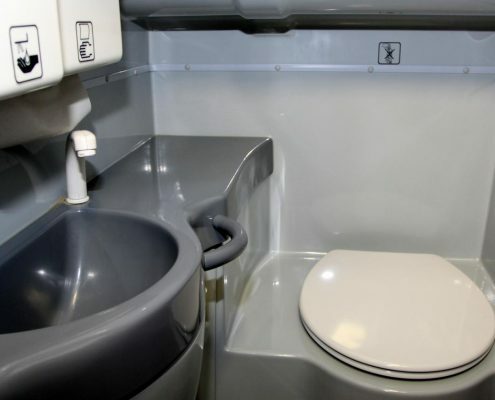 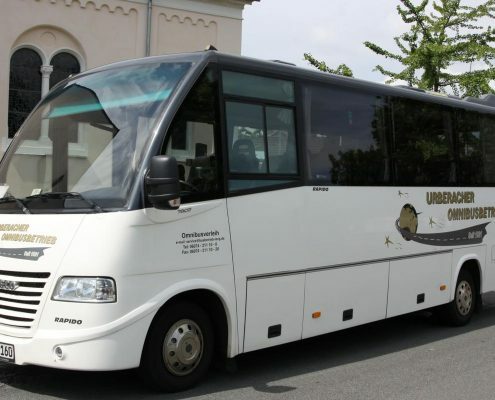 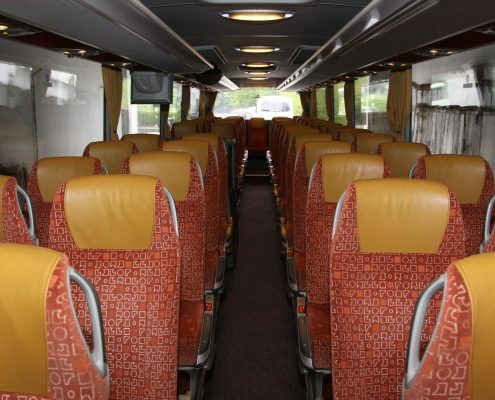 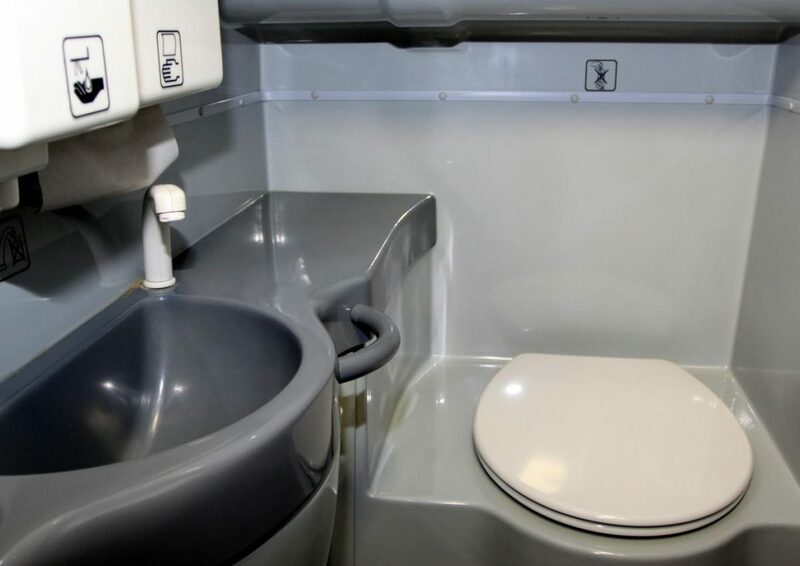 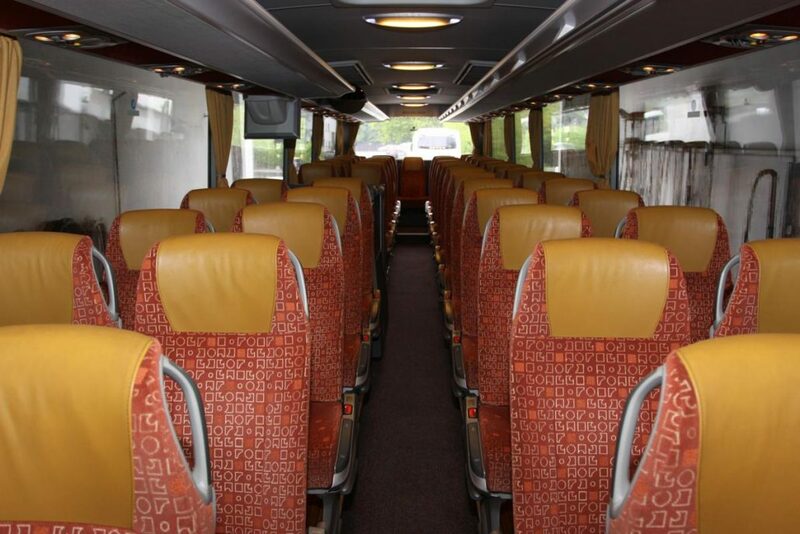 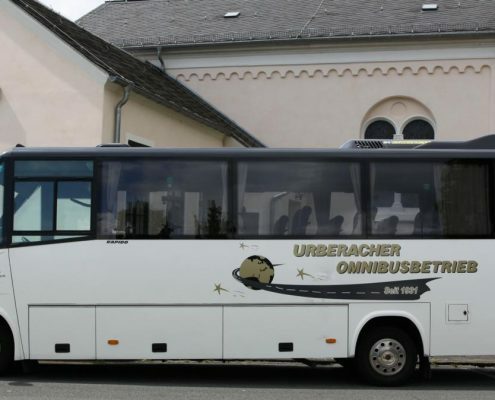 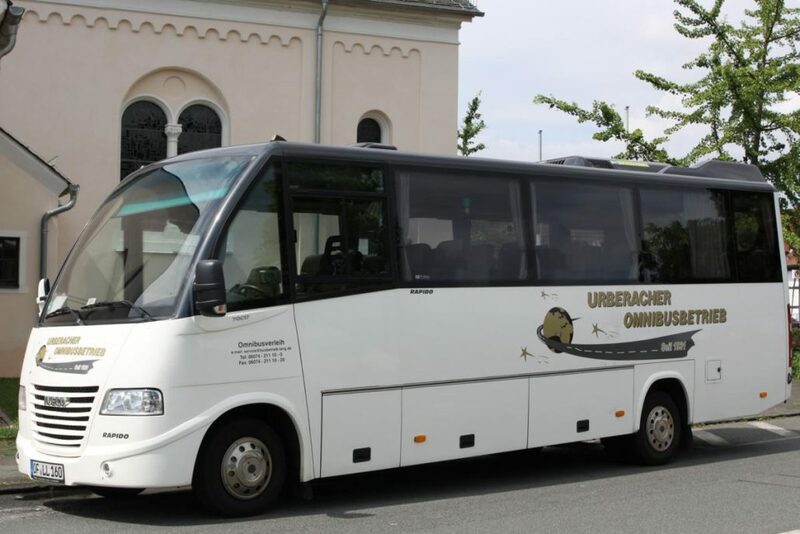 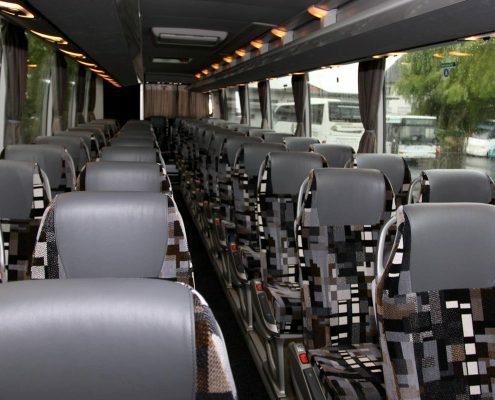 50 seat travel bus with two additional travel guide seats equipped with a microphone, air conditioning, adaptable seating with deployable tables, footrests, DVD video player, audio, refrigerator. 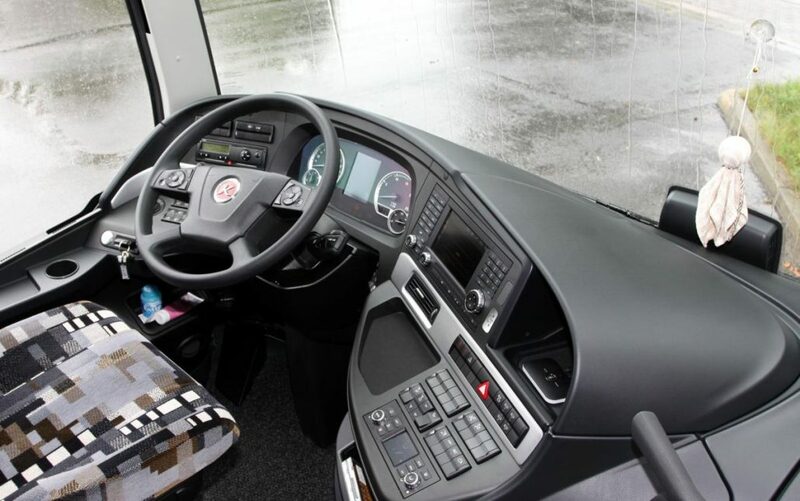 Brakes: Electronic Brake System (EBS), Antilock Braking System (ABS), Traction Control System (TCS), Brake Assistant (BAS), Retarder, Permanent brake limiter (DBL). 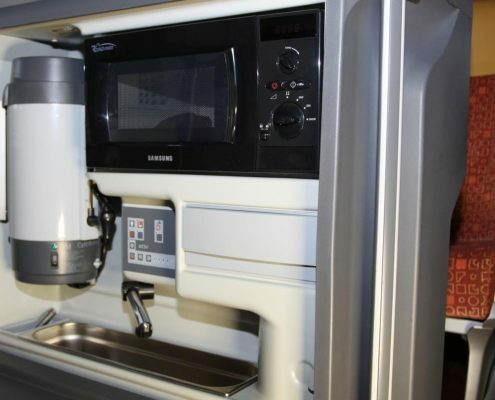 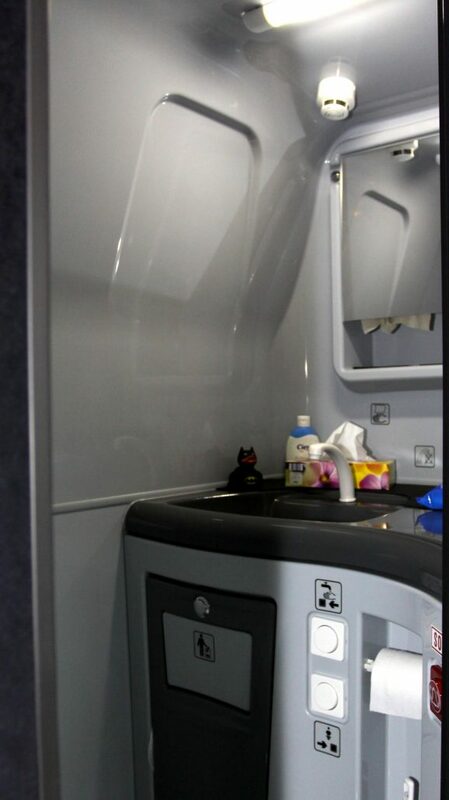 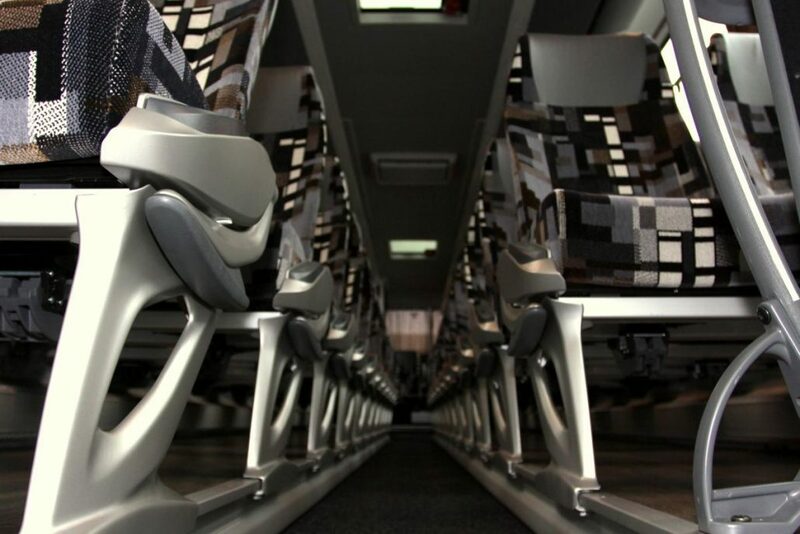 50 seat travel bus with two additional travel guide seats equipped with a microphone, air conditioning, adaptable seating with deployable tables, footrests, audio, refrigerator. 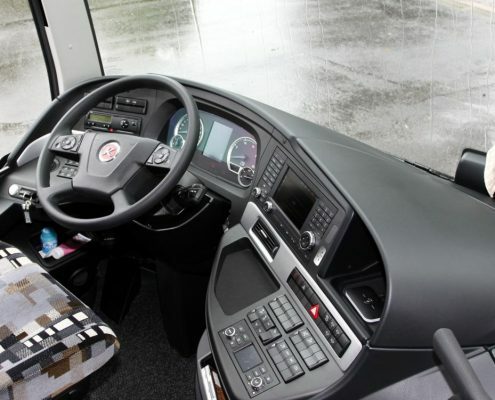 Safety: Antilock Braking System (ABS), Traction Control System (TCS), Brake Assistant (BAS), Electronic Stability Programme (ESP®), Permanent brake limiter (DBL). 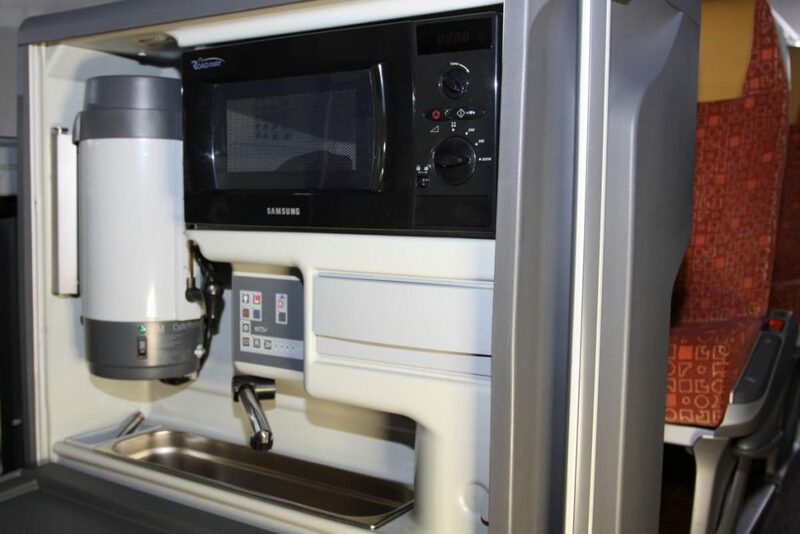 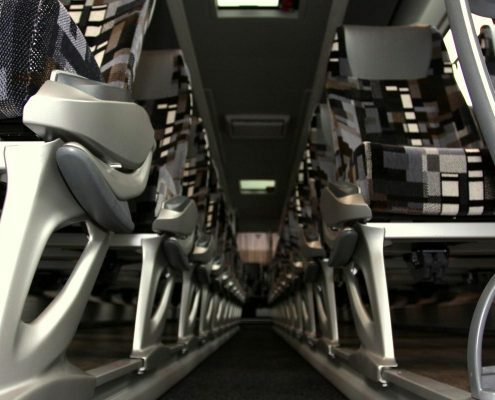 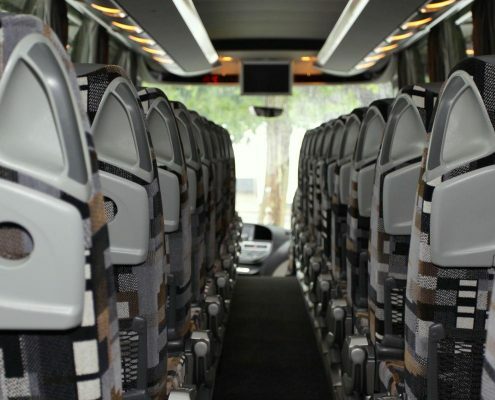 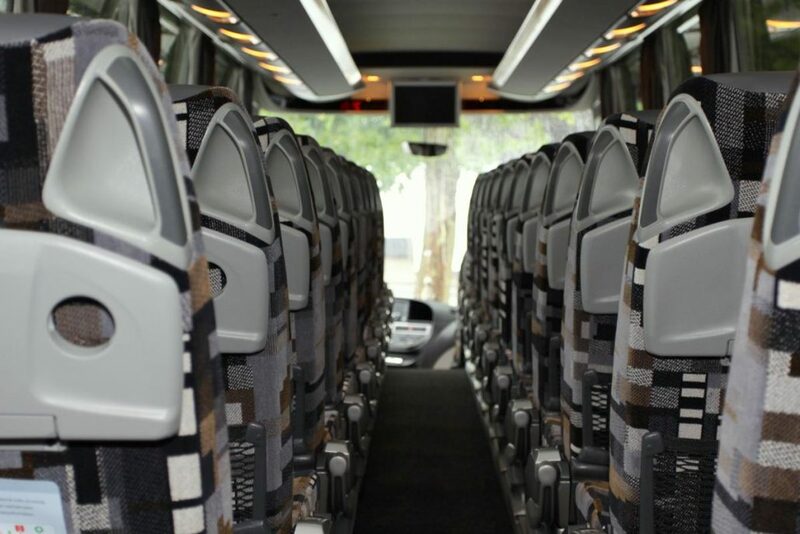 29 seat travel bus with one additional travel guide seat equipped with a microphone, air conditioning, adaptable seating, audio, refrigerator, footrests, deployable tables. 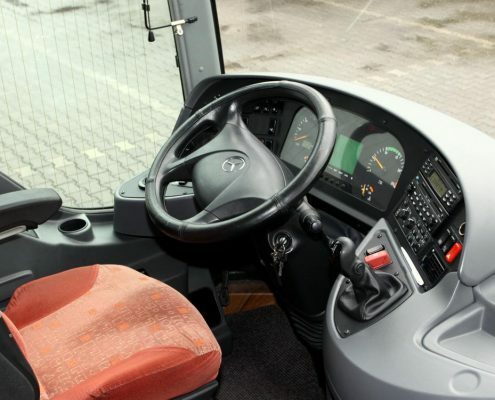 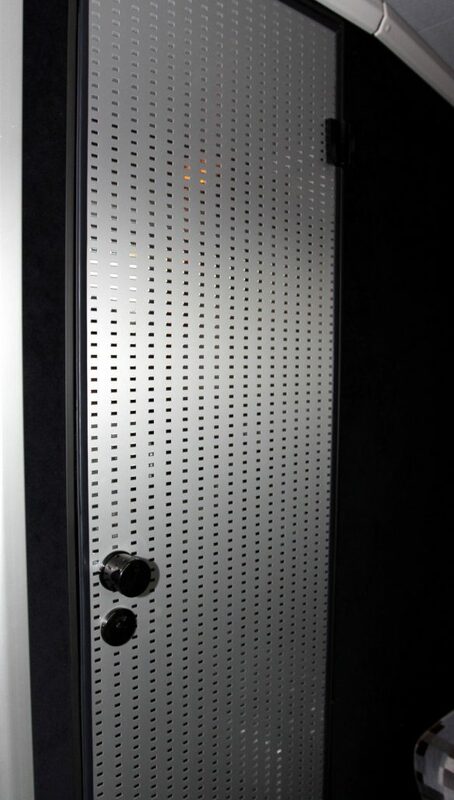 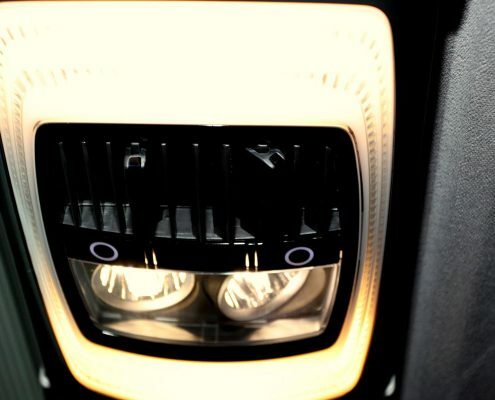 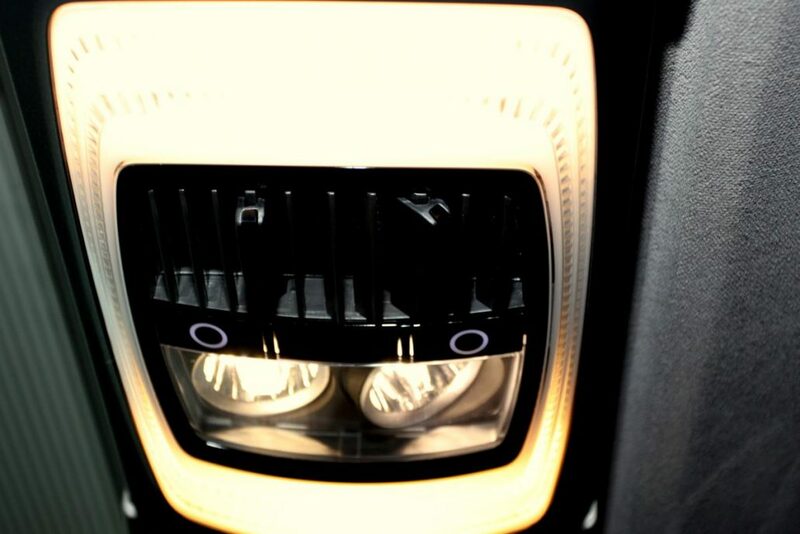 Safety: Brake Assistant (BAS), Electronic Stability Programme (ESP®), Permanent brake limiter (DBL).